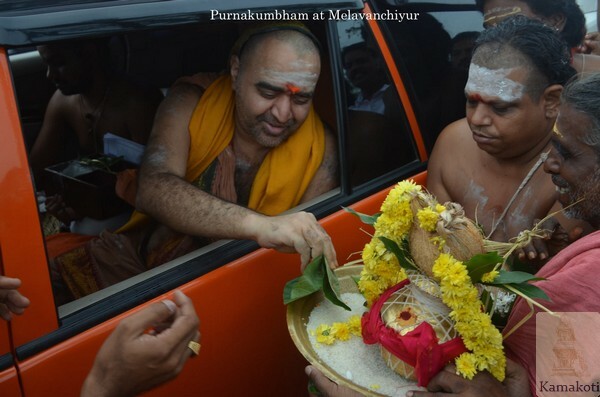 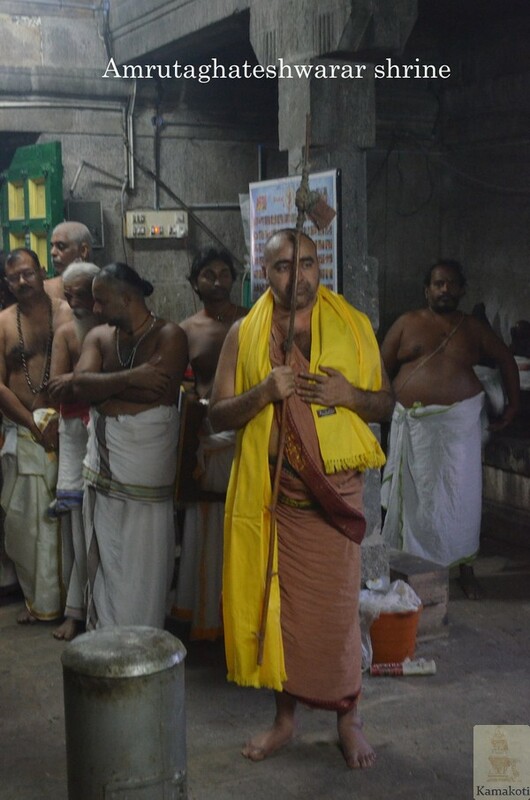 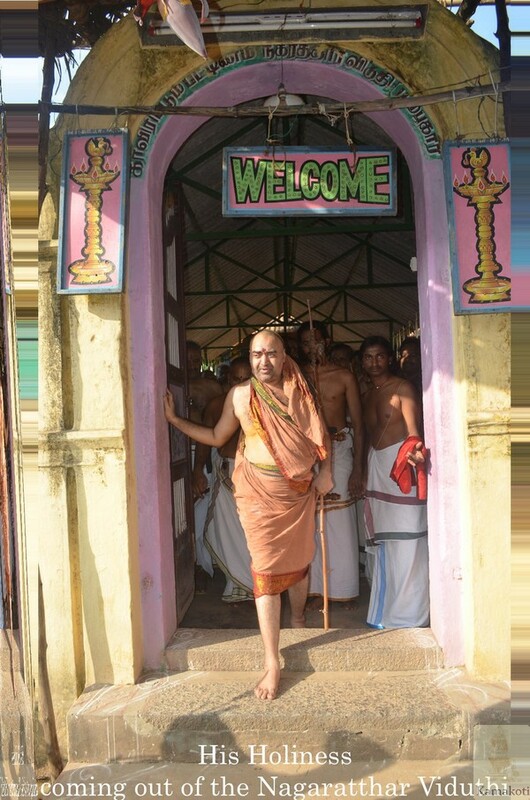 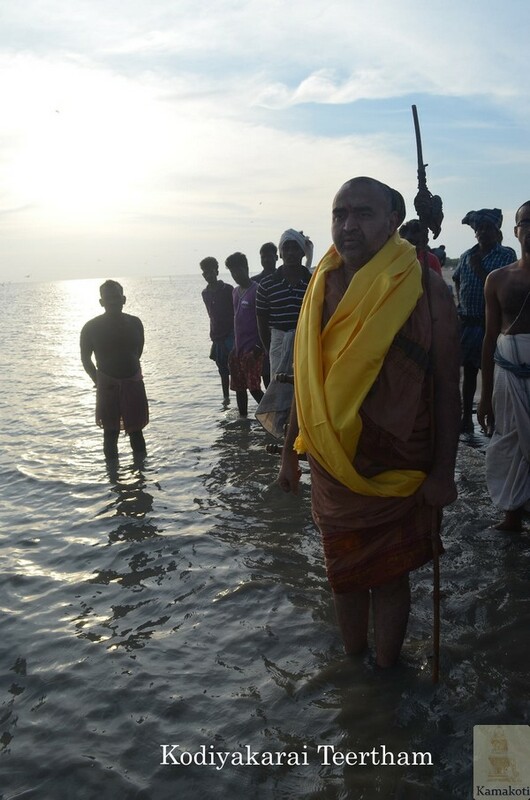 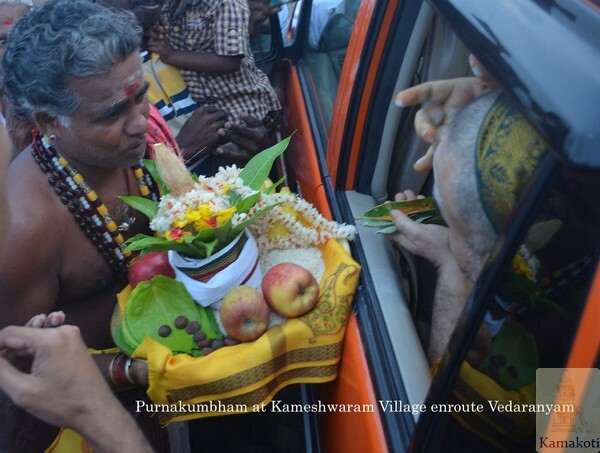 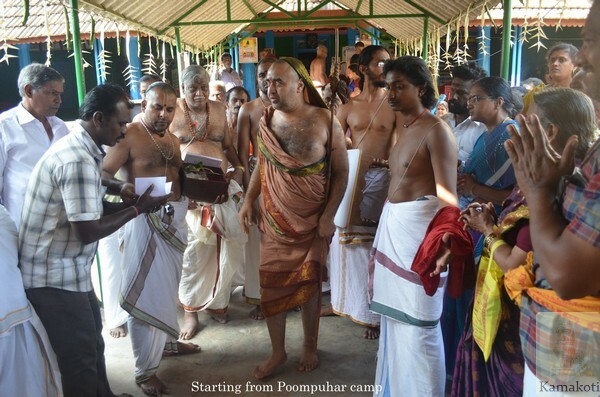 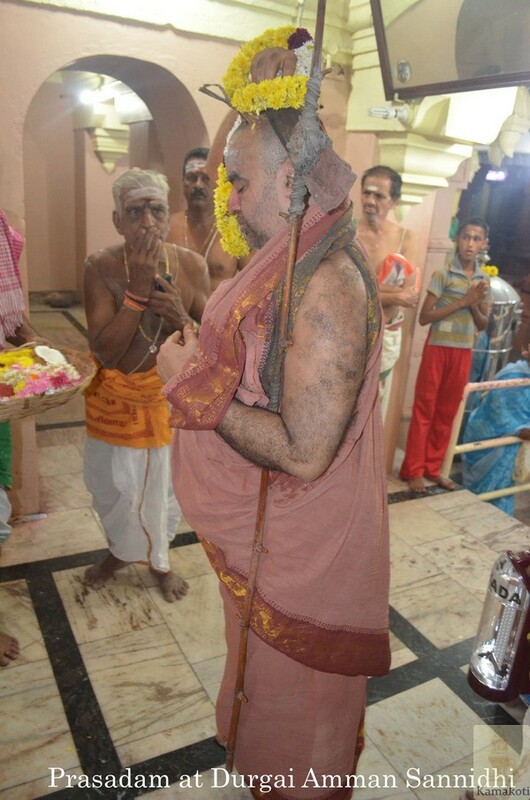 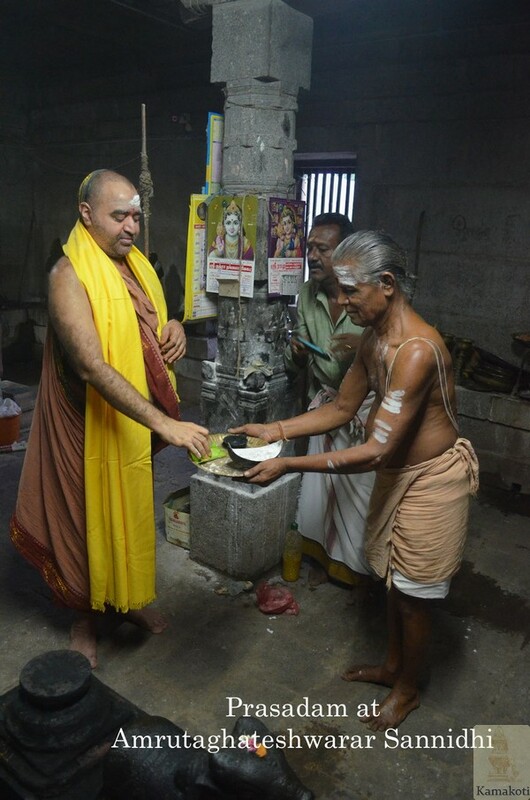 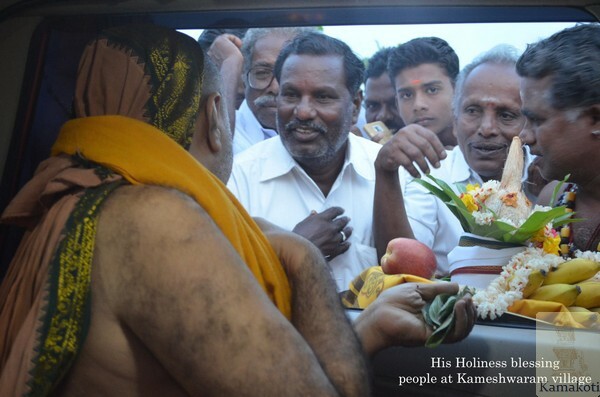 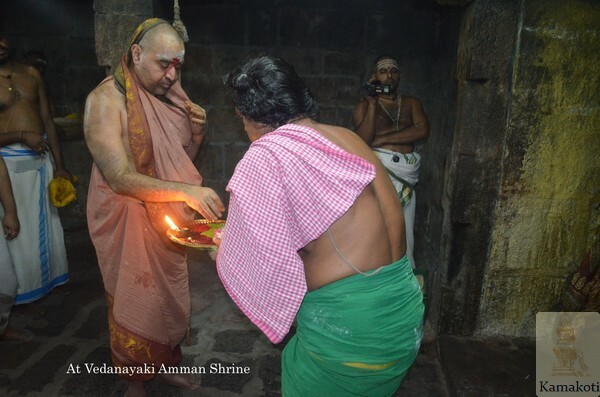 His Holiness Pujya Shri Shankara Vijayendra Saraswathi Shankaracharya Swamigal left Poompuhar for Vedaranyam on Sunday, 31st January, evening 4.25 pm after Trikala Puja. 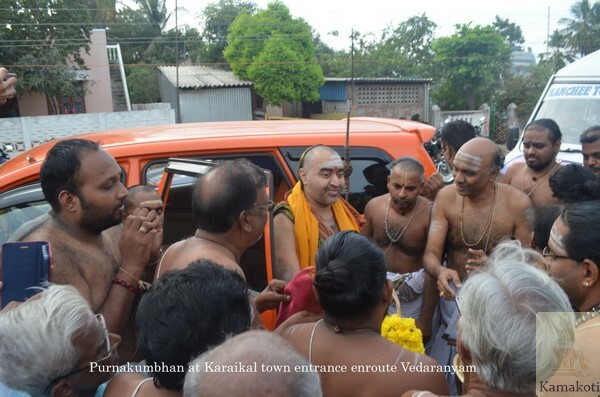 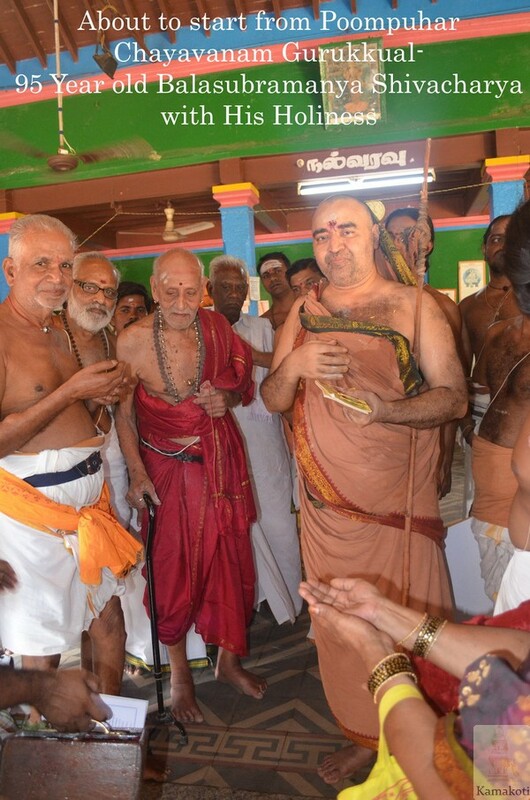 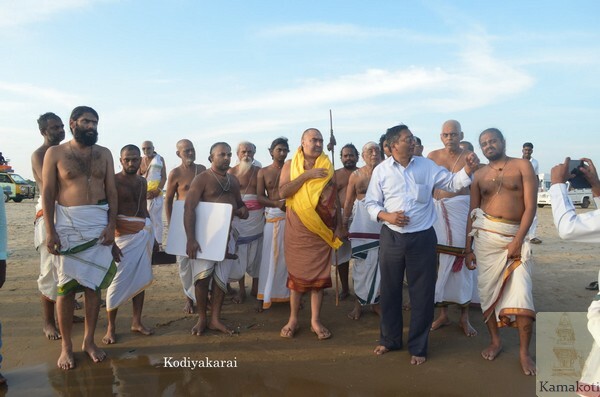 His Holiness was received in Karaikal, Melvanchiyur, Kameshwaram village enroute to Vedaranyam. 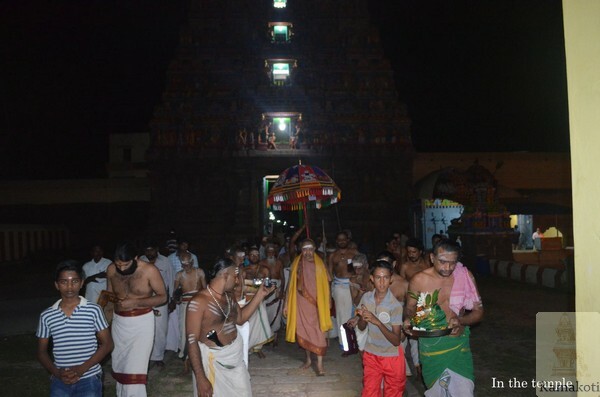 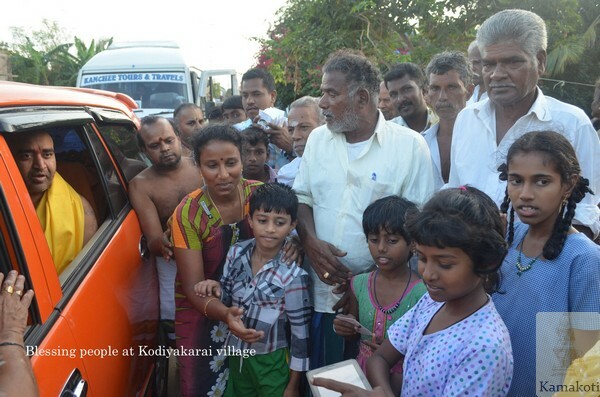 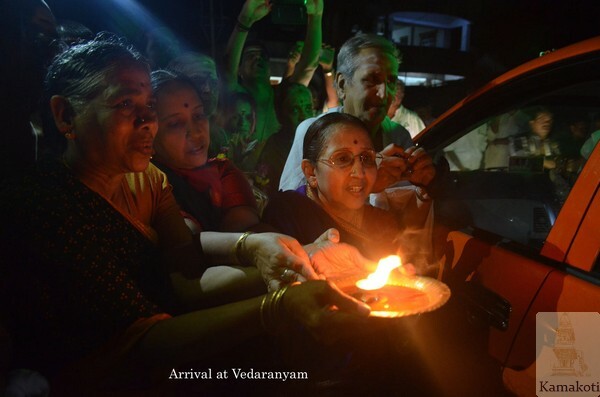 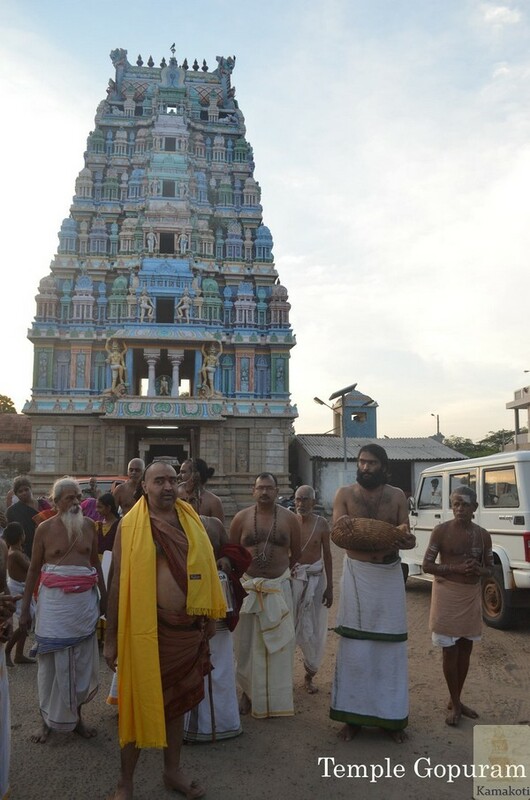 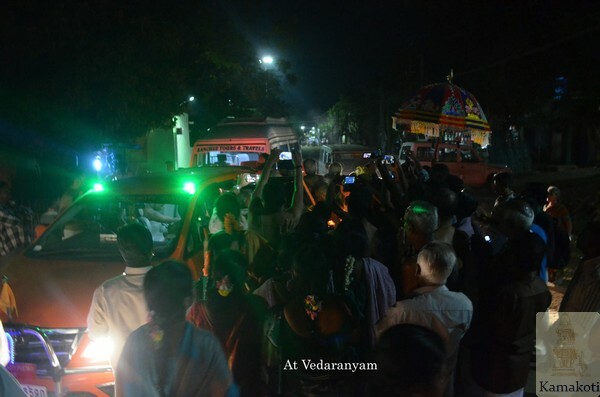 The entourage reached Vedaranyam town at 7:30 PM. 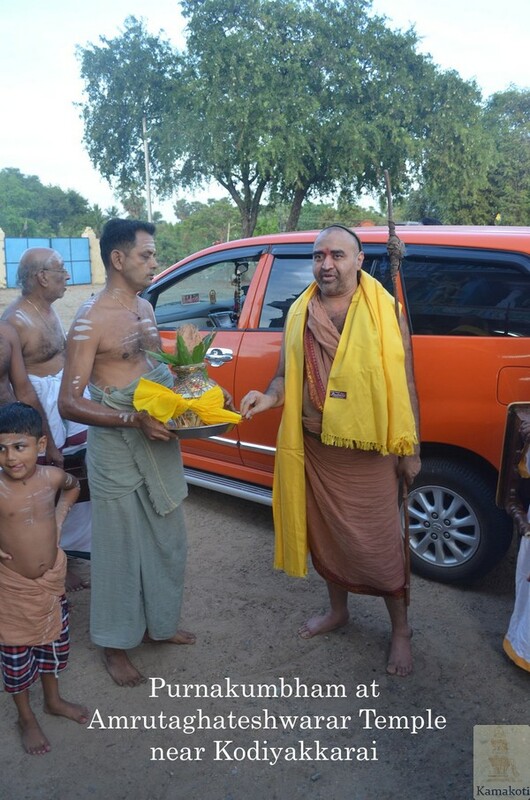 His Holiness was received with traditional honours. 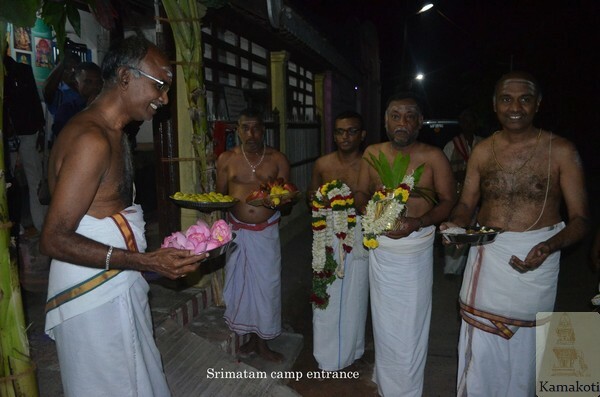 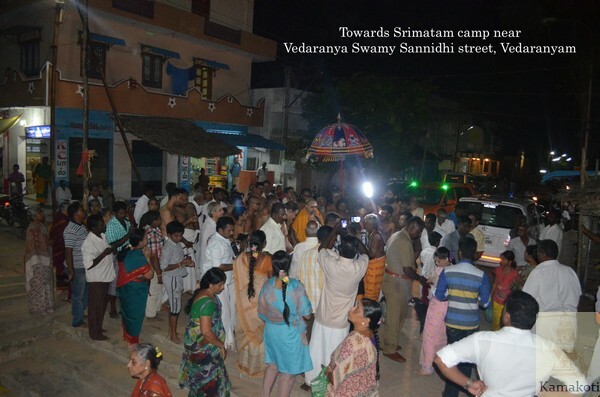 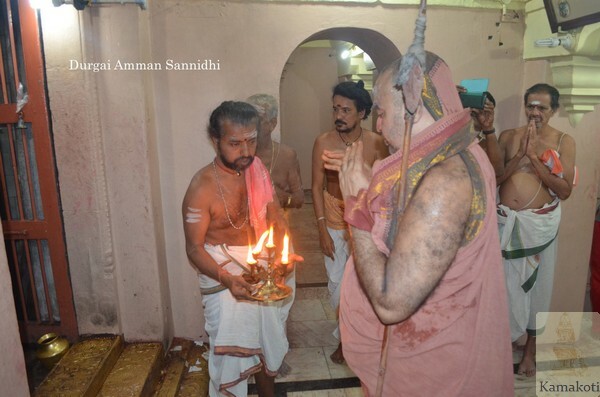 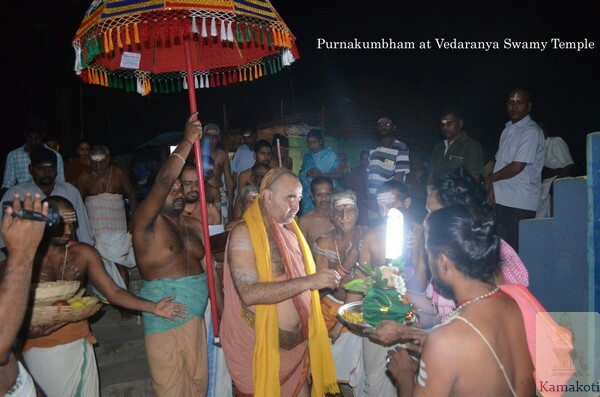 Veda Parayanam (Rig, Yajus & Sama) commenced at Srimatam camp in the morning. 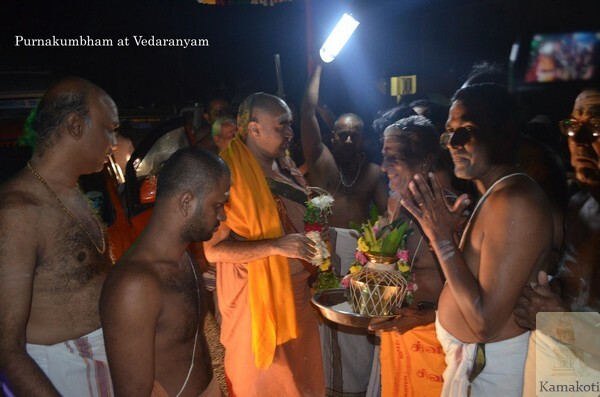 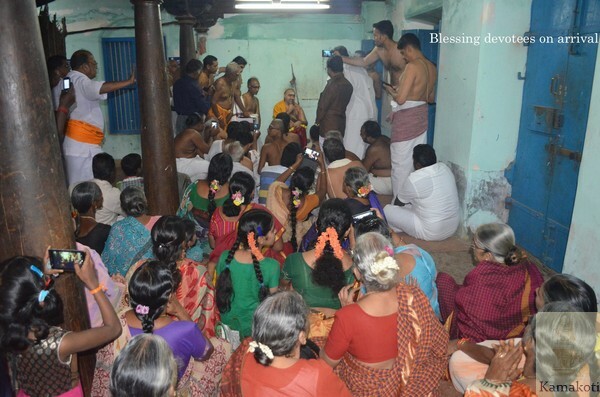 Veda Bhashya Pravachana was held in the evening by Shri Lakshmi Narasimha Shroutigal, Veda Bhashya Vidwan in the divine presence of His Holiness. 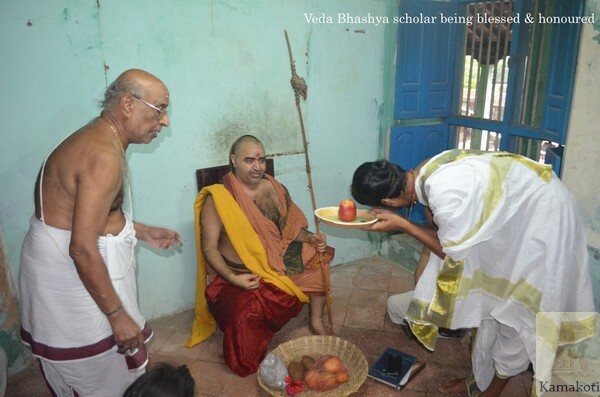 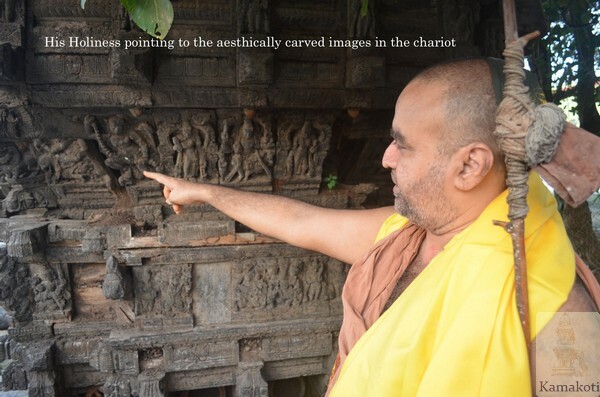 The scholar talked about Samaveda Vishesha Mantra prayogas and quoted various anecdotes from Chandogya Upanishat & Tandya Brahmana. 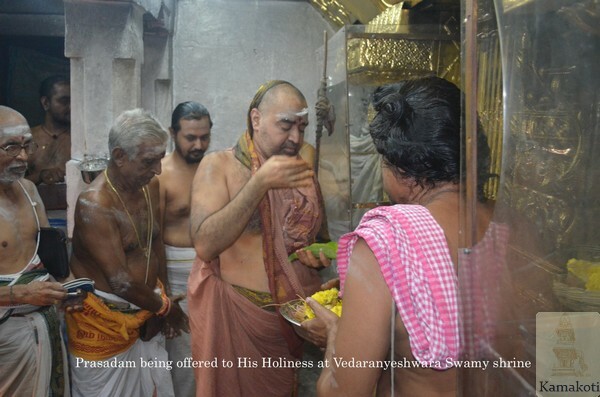 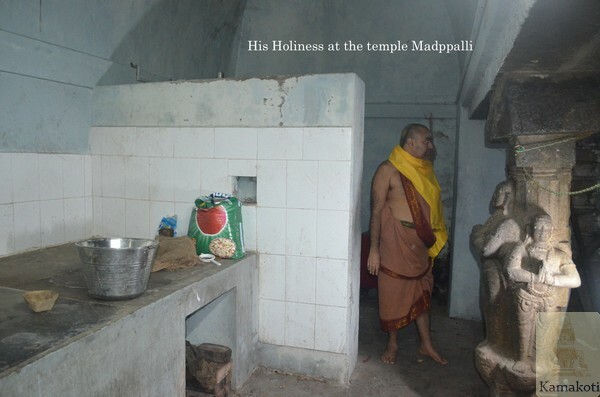 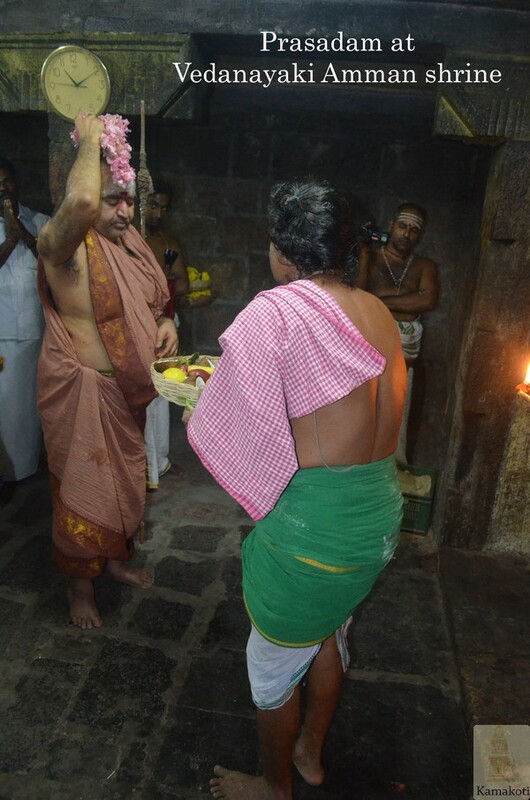 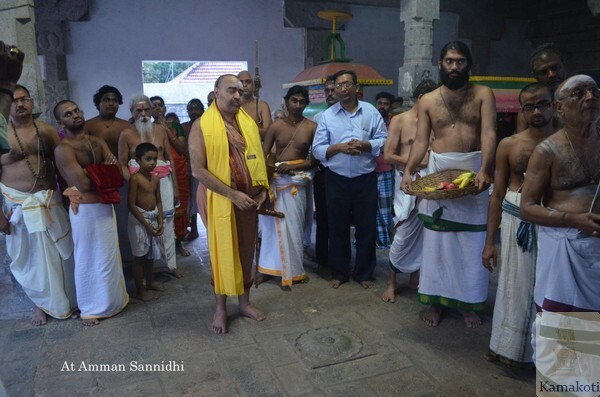 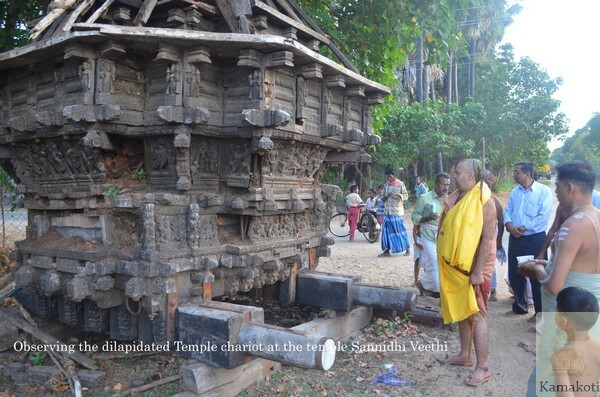 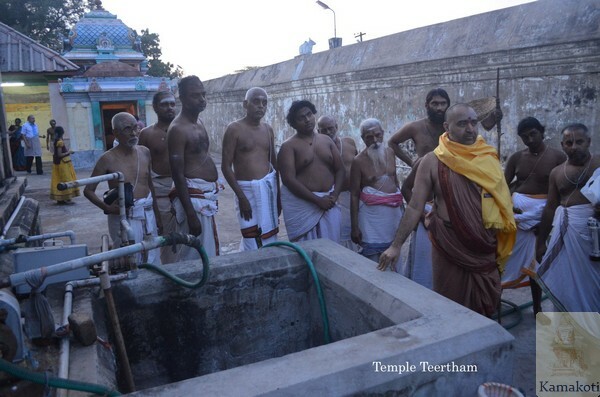 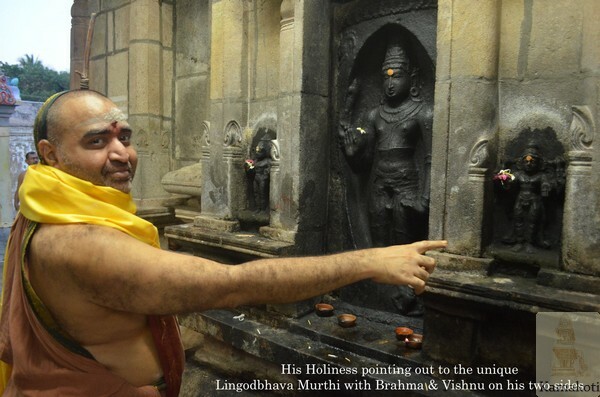 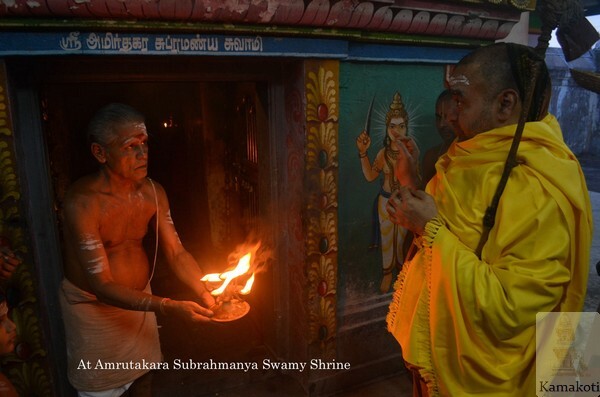 After the evening Puja His Holiness visited Vedaranyeshwar Temple and offered prayers in all shrines. 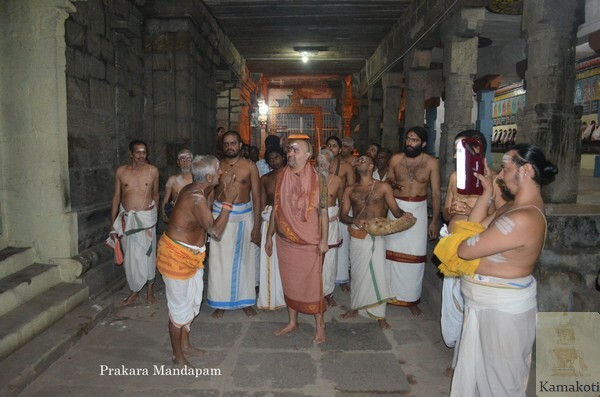 His Holiness was received by the temple archakas at the temple entrance, taken around the temple & bestowed with honours.